PATTY GRIFFIN represents an extraordinary new chapter for this incomparable singer-songwriter and immediately stands among the most deeply personal recordings of her remarkable two-decade career. The album – which follows 2015’s GRAMMY® Award-nominated Servant of Love – collects songs written during and in the aftermath of profound personal crisis, several years in which she battled – and ultimately defeated – cancer just as a similar and equally insidious disease metastasized into the American body politic. Yet as always, like very few others, Griffin’s power lies in how, as Holly Gleason in the Martha’s Vineyard Gazetteobserved, “her songs seem to freeze life and truth in amber.” It’s in how Griffin can express the strikingly intimate while never making it about herself, all wrapped in sparse arrangements that breathe an incomparable force and import into her songcraft. GRAMMY® Award winning artist Patty Griffin has announced a headlining tour beginning February 28 in Los Angeles, CA, making her way through historic venues across North America including The Town Hall in New York, NY, and the Ryman Auditorium in Nashville, TN. Tickets for most shows go on sale next Friday, January 18. European dates and further North American touring will be announced soon. 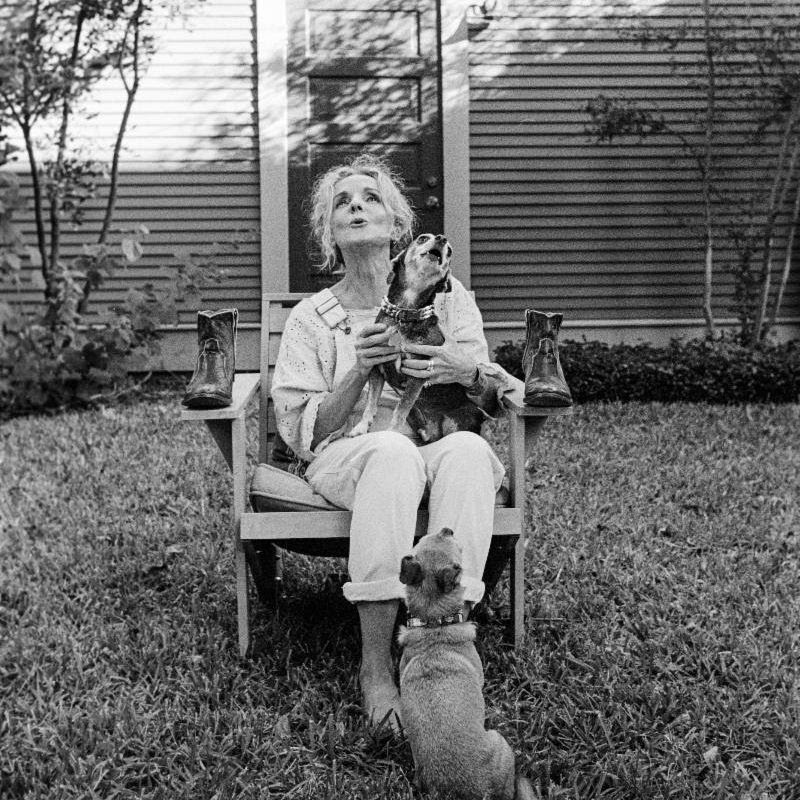 Full details, tour updates and much more can be found at www.pattygriffin.com/tour. The acclaimed singer’s 10th studio recording and first-ever eponymous LP, PATTY GRIFFIN, arrives Friday, March 8 on her own PGM Recordings label via Thirty Tigers. GRAMMY® Award winner Patty Griffin has shared a new song from her self-titled new album out March 8 on her own PGM Recordings label via Thirty Tigers. “Where I Come From,” a classic Griffin painting rich with sunset reds and oranges and shadows, is perhaps an ode to a past life one looks back on with both sadness and fondness. It premieres today via Rolling Stone Country. PATTY GRIFFIN is the acclaimed singer-songwriter’s 10th studio recording and first-ever eponymous LP. The album was recorded predominantly at Griffin’s home in Austin, TX, with Griffin and longtime collaborator Craig Ross co-producing, while the band is made up of a number of friends and frequent accompanists, including Ross, guitarist David Pulkingham, drummer/percussionist Conrad Choucroun, cellist Lindsey Verrill, pianist Stephen Barber, and Robert Plant, who contributes backing vocals to the LP’s “What Now” and “Coins.” Pre-orders are available now. Feb 25 2019 PATTY GRIFFIN UNVEILS "HOURGLASS"
GRAMMY® Award winning artist Patty Griffin has announced today’s premiere of “Hourglass,” the latest song to be unveiled from her eagerly awaited new album. The acclaimed singer’s 10th studio recording and first-ever eponymous LP, PATTY GRIFFIN arrives Friday, March 8 on her own PGM Recordings label via Thirty Tigers. The song’s arrival was heralded last week with its premiere via Garden & Gun. Griffin will celebrate PATTY GRIFFIN with an epic headline tour getting underway next Thursday, February 28 with a sold out show at Los Angeles, CA’s Largo at the Coronet. The eagerly awaited tour – much of which is already long sold out – includes visits to historic venues across North America including New Orleans, LA’s Tipitina’s Uptown (March 26), New York City’s Town Hall (April 6), and Nashville, TN’s Ryman Auditorium (April 17). European dates follow, including headline shows and festival dates in Ireland, the United Kingdom, and the Netherlands. In addition, Griffin will join Amos Lee as special guest for an upcoming show at Morrison, CO’s famed Red Rocks Amphitheatre, set for September 6. Additional dates will be announced soon. Full details, tour updates and much more can be found at www.pattygriffin.com/tour. PATTY GRIFFIN represents an extraordinary new chapter for this incomparable singer-songwriter and immediately stands among the most deeply personal recordings of her remarkable two-decade career. The album – which follows 2015’s GRAMMY® Award-nominated SERVANT OF LOVE – collects songs written during and in the aftermath of profound personal crisis, several years in which she battled – and ultimately defeated – cancer just as a similar and equally insidious disease metastasized into the American body politic. Yet as always, like very few others, Griffin’s power lies in how, as writer Holly Gleason recently observed in Martha’s Vineyard Gazette, “her songs seem to freeze life and truth in amber.” It’s in how Griffin can express the strikingly intimate while never making it about herself, all wrapped in sparse arrangements that breathe an incomparable force and import into her songcraft. 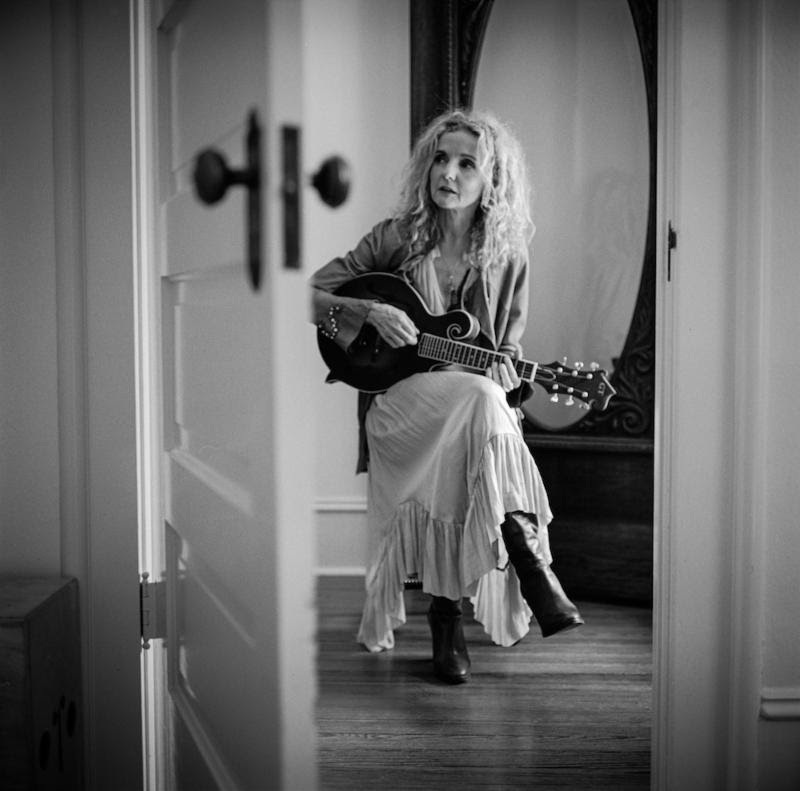 GRAMMY® Award winning artist Patty Griffin has officially announced today’s release of her eagerly awaited new album. The acclaimed singer’s 10th studio recording and first-ever eponymous LP, PATTY GRIFFIN is available everywhere now on her own PGM Recordings label via Thirty Tigers. Griffin will celebrate PATTY GRIFFIN with an epic headline tour getting underway Monday, March 11 with a free in-store performance at Austin, TX’s beloved Waterloo Records. In addition, Griffin will headline a free concert at Austin’s SXSW Outdoor Stage at Lady Bird Lake on Saturday, March 16, presented as part of next week’s South by Southwest (SXSW). The tour – much of which is already long sold out – then includes visits to historic venues across North America including New Orleans, LA’s Tipitina’s Uptown (March 26), New York City’s Town Hall (April 6), and Nashville, TN’s Ryman Auditorium (April 17). European dates follow, including headline shows and festival dates in Ireland, the United Kingdom, and the Netherlands. In addition, Griffin will join Amos Lee as special guest for an upcoming show at Morrison, CO’s famed Red Rocks Amphitheatre, set for September 6. Additional dates will be announced soon. Full details, tour updates and much more can be found at www.pattygriffin.com/tour. PATTY GRIFFIN represents an extraordinary new chapter for this incomparable singer-songwriter and immediately stands among the most deeply personal recordings of her remarkable two-decade career. The album – which follows 2015’s GRAMMY® Award-nominated SERVANT OF LOVE – collects songs written during and after several years in which she battled – and ultimately defeated – cancer just as a similar and equally insidious disease metastasized into the American body politic. Yet as always, like very few others, Griffin’s power lies in how, as writer Holly Gleason recently observed in Martha’s Vineyard Gazette, “her songs seem to freeze life and truth in amber.” It’s in how Griffin can express the strikingly intimate while never making it about herself, all wrapped in sparse arrangements that breathe an incomparable force and import into her songcraft.